Carnivals newly upgraded ship the Carnival Sunshine has re-positioned to Port Canaveral where it will begin year round cruises. Before the ship starts its year round cruises it will be doing a special inaugural 2 day cruise to the Bahamas to give to people of Port Canaveral a taste of whats to come from the Carnival ship. 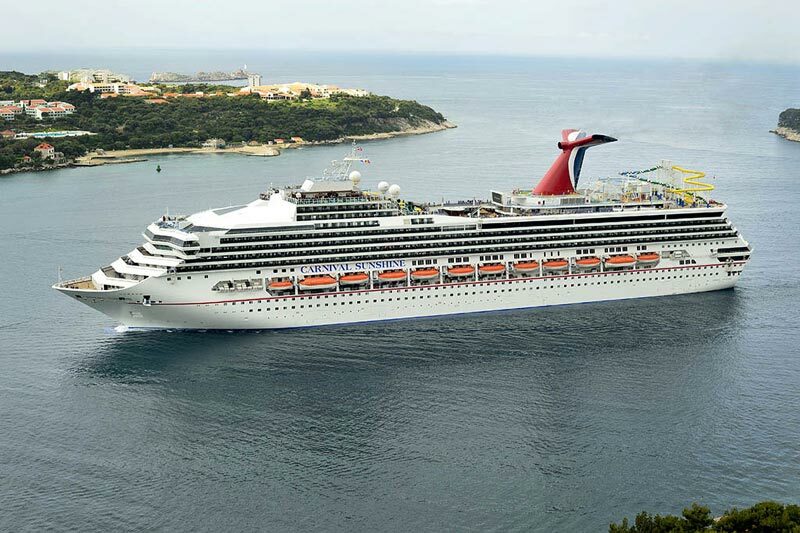 Carnival Sunshine will operate three different five-day eastern Caribbean sailings departing Sundays and featuring calls at Key West, Nassau, and Freeport; Nassau and Grand Turk; or Nassau, Half Moon Cay and Freeport. Port-intensive seven-day cruises depart Saturdays to the eastern Caribbean and call at Nassau, St. Thomas, San Juan and Grand Turk, while week-long western Caribbean trips depart Saturdays and call at Cozumel, Belize, Mahogany Bay (Isla Roatan); and Costa Maya. Two different eight-day eastern Caribbean cruises depart Fridays or Saturdays, and call at Grand Turk, San Juan, St. Thomas and St. Maarten; or Grand Turk, St. Thomas, Tortola and St. Maarten. Eight-day southern Caribbean sailings depart Fridays or Saturdays and include Curaçao, Aruba and Grand Turk. Carnival Sunshine was the first ship in the fleet to get all the FUN 2.0 upgrades including the Red Frog Rum Bar and a three deck Adults only serenity area. The upgrade cost $155 Million which is the largest ever drydock for Carnival Cruise Lines.